MICHIGAN CITY, Ind. 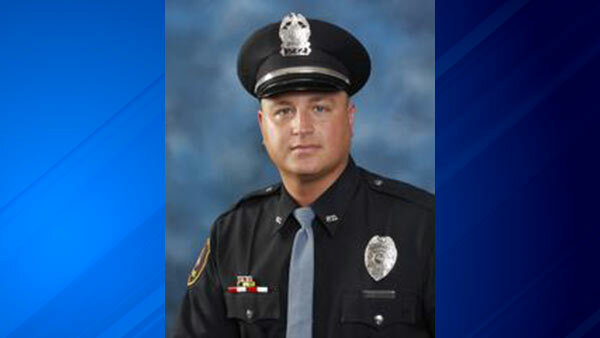 (WLS) -- A northwest Indiana police officer has been arrested and charged with felony counts of official misconduct and possession of legend drug without prescription, according to a press release from Indiana State Police. State police said they arrested Officer Robert J. Grant, 37, as he was leaving the Michigan City Police Dept. Tuesday night. Grant is a 12-year member of the department and assigned to the Fugitive Apprehension Street Team, state police said. Grant has been placed on administrative suspension - five days without pay - which is the maximum allowed by Michigan City Police Dept. policy, according to state police. Chief Mark Swistek said Grant is currently under internal investigation. Chief Swistek said he has requested a hearing before their commission within 72 hours recommending termination. "I am extremely sadden and disappointed by the fact that a member of our law enforcement agency would act in a manner that has damaged the public trust and integrity of this department that we have all worked so hard for each and every day," Chief Swistek said in a written statement. Grant is expected to appear in court on Wednesday afternoon.